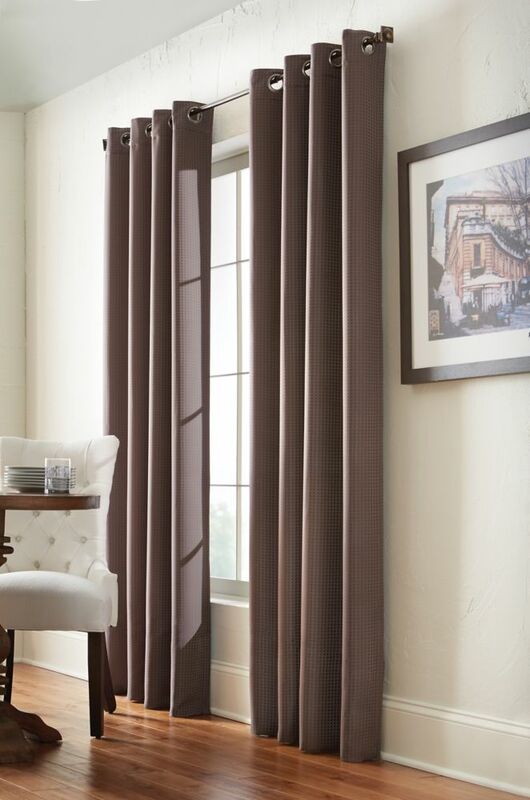 Habitat by Richmark is a collection of curtains featuring updated styling and fabrics for today's living. As unique as one's personality, these curtains blend into contemporary or traditional decor.Contemporary basketweave grommet panel. Create an updated look to your space with this floral painted faux linen curtain panel. Ideal for living room or bedroom. Grommet panel measures 52 in x 108 in, color silver. This stunning branch motif on a white faux linen sheer is very trendy in home dicor. Ideal for living room or bedroom. Grommet panel measures 52 in x 108 in, color white. Discreet tone-on-tone pattern on a completely blackout curtain panel. Ideal for living room or bedroom. Grommet panel measures 40 in x 108 in, color blue.